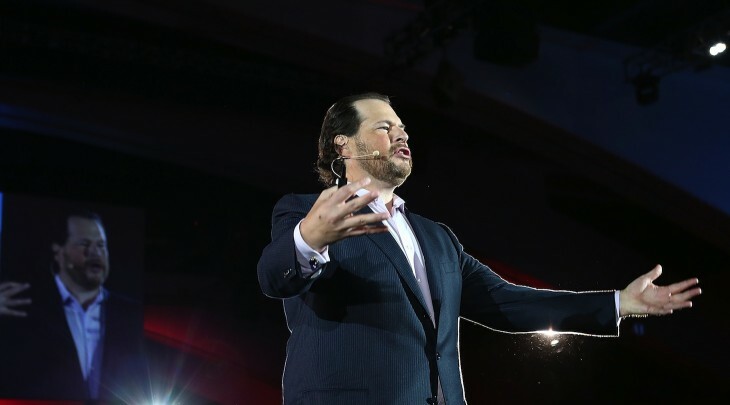 Brandcast, a San Francisco startup that helps companies establish a consistent cross-channel Web presence (not to be confused with YouTube Brandcast), has raised a total of $1.8 million in early-stage capital from Salesforce.com chairman and CEO Marc Benioff. The financing was announced by Brandcast today in conjunction with the public release of its self-service social and mobile brand management product, which will be free for the first 1,000 sign-ups (for one year). Brandcast helps companies with their online branding across different platforms, which means engaging in social media conversations, publishing content and delivering digital marketing messages to targeted audiences across every relevant channel and device. The goal is to help small businesses build a broad Web presence with a single product rather than forcing them to utilize a patchwork of solutions. The startup’s platform integrates with social networking services such as Twitter and Facebook, video sharing sites like YouTube and Vimeo and online marketplaces such as Etsy. More interesting to me is the backstory to Brandcast’s seed round. How did a highly sought-after executive of a publicly-listed software company such as Benioff end up single-handedly seed-funding a fledgling company like Brandcast with nearly $2 million? As it turns out, Brandcast founder Metzger is an ex-Salesforce.com employee who left the company over three years ago to co-found a startup called BandPage. The company, which we’ve written about in the past, is a Facebook app developer focused on giving bands a way to engage their fans on the popular social network. While hammering away at BandPage, Metzger ran into Marc Benioff at a Salesforce.com event called Dreamforce. Benioff had no idea who Hayes was, but the latter entrepreneur managed to get the exec’s attention by mentioning he used to work for Salesforce.com. A few weeks later, Metzger got a Facebook message from Benioff and the pair set up a meeting. Benioff wondered why BandPage was focused only on music artists and challenged Metzger to think bigger. Long story short, Metzger left BandPage with some seed money from Benioff to build Brandcast with all types of businesses in mind. A while ago, Metzger set out to raise venture capital for its Series A round, but it didn’t take long for Benioff to email him, informing the entrepreneur that he was prepared to cover it entirely in addition to the seed round instead.